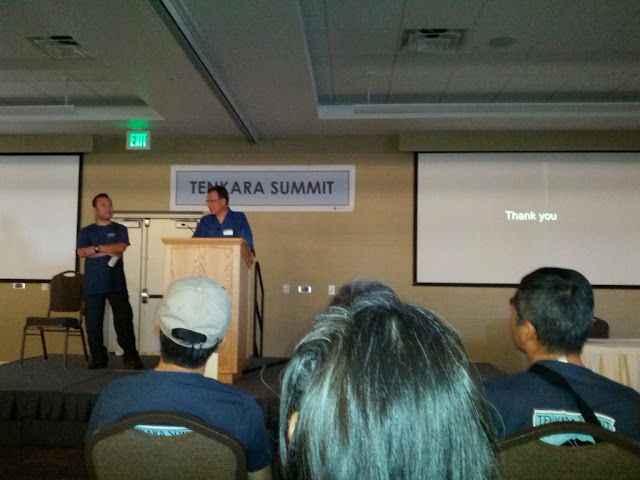 With a Friday Wyoming adventure in the rear view, Saturday brought the reason why I was out in Utah, to attend the 2012 Tenkara Summit. 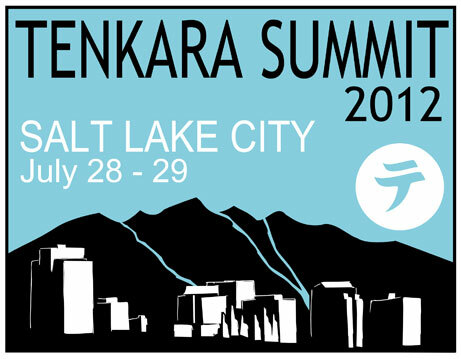 The Summit was held at the University Guest House, a hotel/conference facility on the campus of the University of Utah. I also happened to be staying at the Guest House, so I got to sleep in nice and late and was able to essentially roll out of bed and to the event. 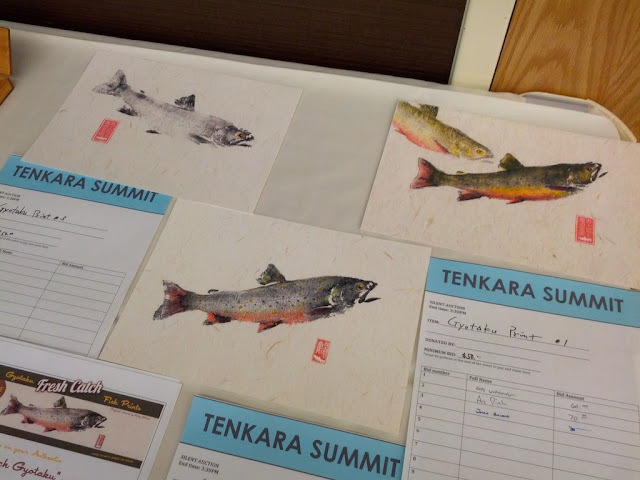 This year's summit was being co-hosted by Tenkara USA & the Tenkara Guides. Let me get the pleasantries out of the way up front...both did a great job as co-hosts. The event was very well organized and everyone was extremely accommodating and helpful. 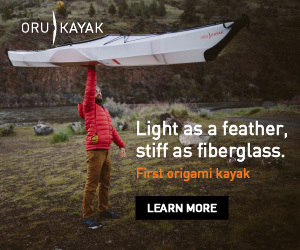 I honestly don't think they could have done a better job making us tenkara enthusiasts feel any more welcome. On to the event itself. The day was more or less split up into two sessions with a lunch break in-between. The morning session presented a little bit of free time to walk around and meet & greet many of the folks that I've befriended online over the past few years, but hadn't yet met face-to-face. 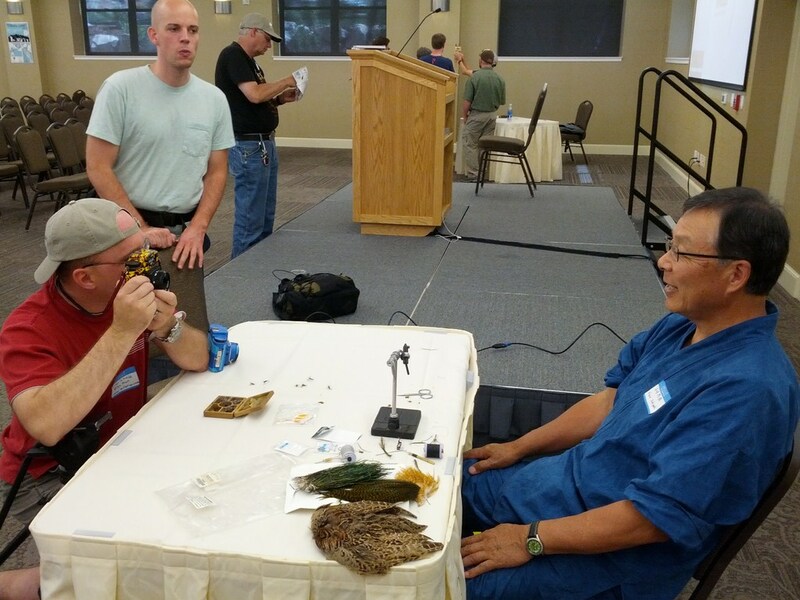 A few names you might be familiar from their blogs are Karel from Tenkara on the Fly, Anthony from CastingAround, Jason from Tenkara Talk, Brian the "Holga Master," Chris the TenkaraBum, and BC from Tenkara Elevated. Brian Schiele, "Holga Master" meeting (& shooting) Dr. Ishigaki, "Tenkara Master"
There were quite a few vendors with booths set up displaying (& selling) their wares. 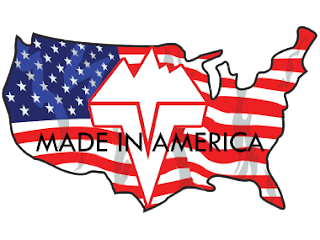 Tenkara USA, ZimmerBuilt, Learn Tenkara, Dr. Kevin Kelleher co-author of Tenkara, Radically Simple Ultralight Fly Fishing, the Tenkara Guides, and I'm probably forgetting one or two more. All were very friendly, and it was nice to spend some time and chat with each. 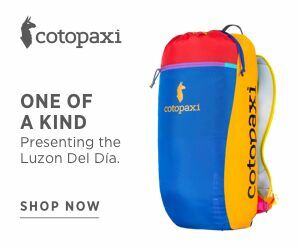 (As a bag junkie, one of my regrets is not buying one of the ZimmerBuilt slings). Once the schedule of speakers was about to start, we were moved into a large room with chairs set out in an auditorium style setting. Some gremilins must have came over from Japan with the guest speakers, as there were some early AV issues, but once those were fixed it was a quite informative program. Daniel Galhardo from Tenkara USA started with a brief welcome and was followed immediately by keynote speaker Dr. Hisao Ishigaki. 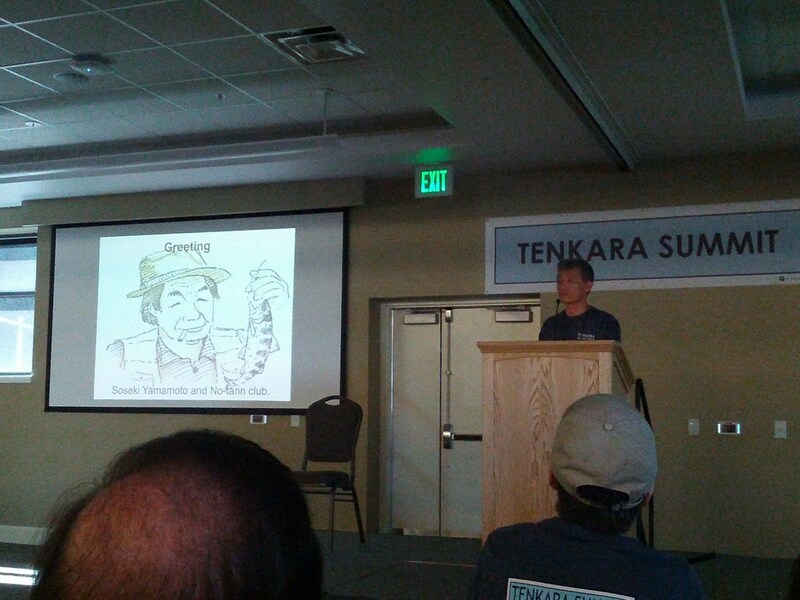 Dr. Ishigaki gave a general overview of tenkara to everyone, and spoke about the history as well as his efforts to spread the word of this niche form of fishing. 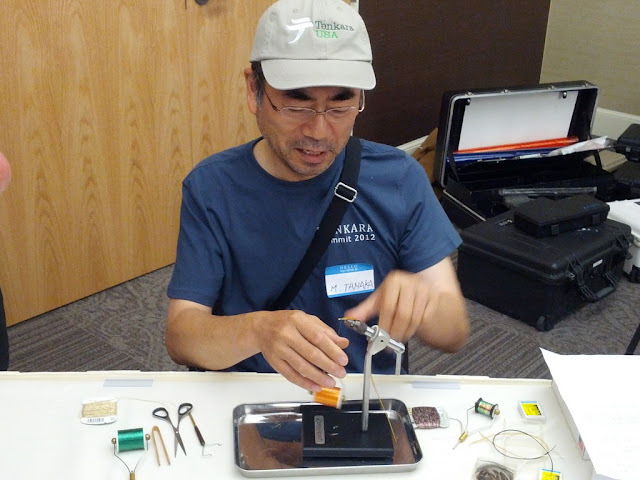 Once Dr. Ishigaki finished, Mr. Kiyoshi Ishihara followed with a presentation on Yamamoto Soseki, the author/angler who is generally credited with shaping and popularizing modern tenkara, as well as the No-tarin club, a fishing club that was started by Soseki and still exists today. Without getting into too much detail, Soseki was evidently quite the character in his time, which made Mr. Ishihara's presentation quite entertaining. In my opinion, this was the highlight of the morning session. 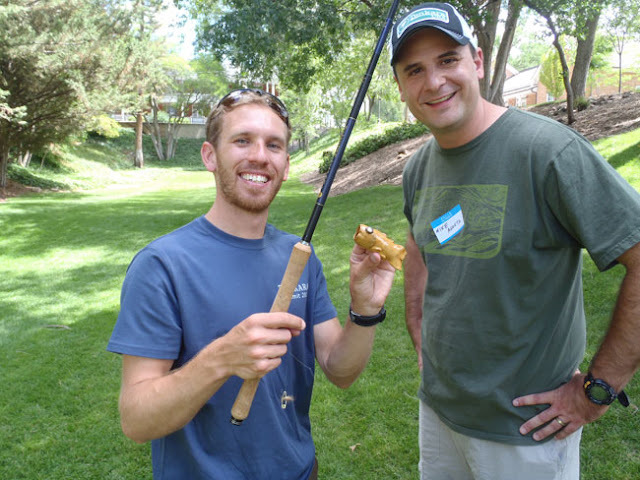 The knothead trout game was pretty fun and gave me an opportunity to cast rods with pre-rigged level lines (I typically fish furled tenkara lines on my rods). Lots of prizes were won by "catching" the fish...heck, even a terrible caster like me figured out how to cheat win something. 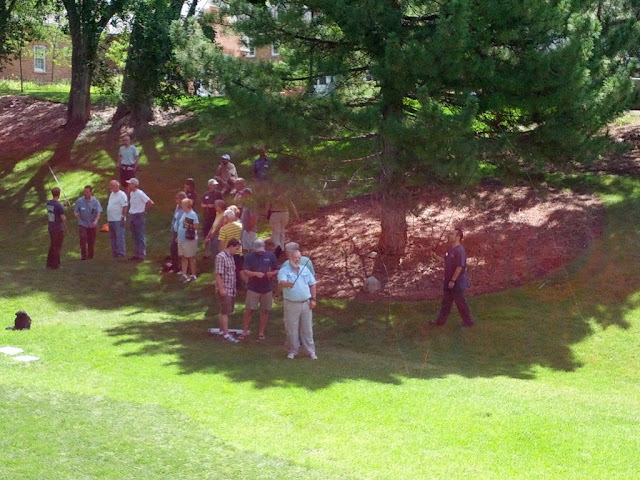 After the break, the afternoon program started and a few more speakers took the stage. Brian Flemming (and his hilariously dry sense of humor) treated us to a preview of both the new Tying Tenkara Flies DVD as well as an update on the Tenkara documentary he's been filming for the last two years. Tim Hawkes from Trout Unlimited gave a spirited speech on the actions the organization is taking in Utah to restore and conserve watersheds and native species. Not being a resident of Utah, it was a pretty interesting to learn the initiatives and issues currently on the table in the state. 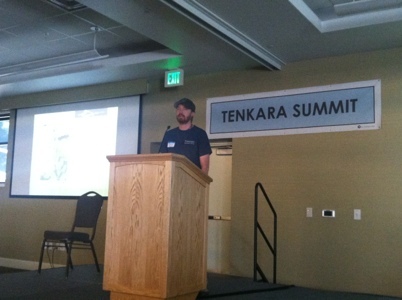 Finally, Erik Ostrander from Tenkara Guides gave an overview of tenkara in Utah, a background on the Tenkara Guides, their TROutreach program, and a preview of what we'd be expecting on Sunday, Day Two of the Summit out on the Provo River. 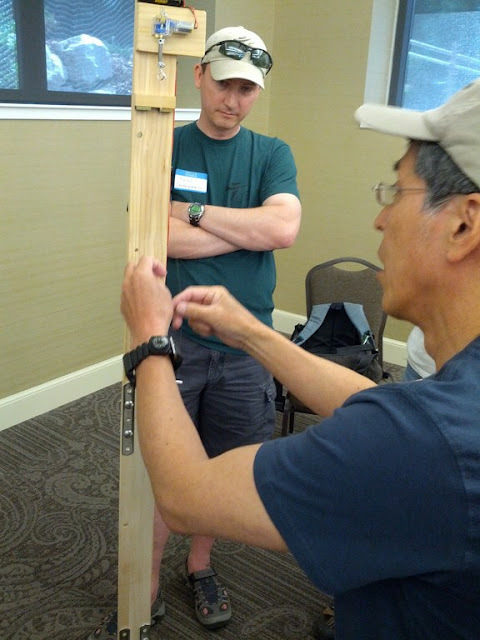 Before you knew it, it was close to 4PM and day one of the Summit had come to a close. Auctions closed (without me winning anything, damn you Jason Klass for outbidding me on everything), some more flies were tied, and booths were packed up. It was crazy how quickly the day went...but I guess that's always the case when you're enjoying yourself...or at least that's my story, and I'm sticking to it! Love the prints. And that video must be quite the addition to a fly tyers bench. 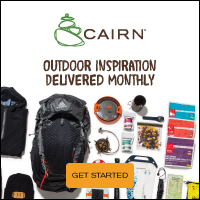 Next year! Thats what I keep telling myself. I will go next year. This just makes me more excited. The picture I was taking of the good doctor didn't turn out like I had hoped, but I do have another of him that I am rather pleased with. I also have a nice portrait I did of you as well. I too feel the summit was a success, and hope that Daniel and the others feel the same as well. It was a genuine meeting you and the others as well too, which was one of the highlights for me too. Mike great post. Wish I could have attended. 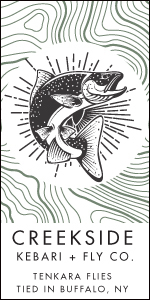 I just ordered my copy of "Tenkara Flies"